The Platinum Anniversary artwork updates and inverts the original Grammy-nominated white-on-white design using spot UV gloss and metallic silver ink and includes a deluxe heavyweight jacket w/custom inner sleeve. The LP is pressed on pink and turquoise swirl-colored vinyl. 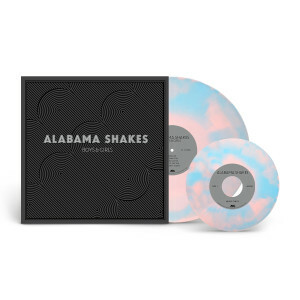 Includes bonus 7" featuring b-sides "Heavy Chevy", "Mama", and "Pocket Change"
All orders are entered to win a Grand Prize Certified RIAA Boys & Girls Platinum Album Plaque, with the winners name engraved on the plaque. 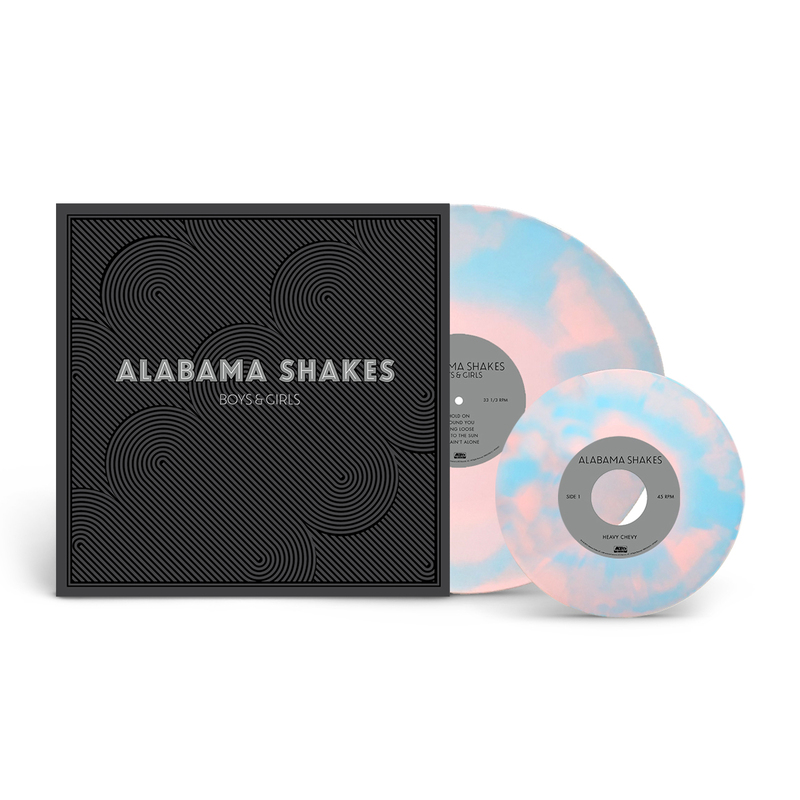 SHIPPING NOW exclusively from ATO Records web-store. It's just as fantastic as the original release and possibly a little more fun with the pink and blue swirl. Great album, great band and a must have for and AS fan! Beautiful re-issue of one of my favorite albums. 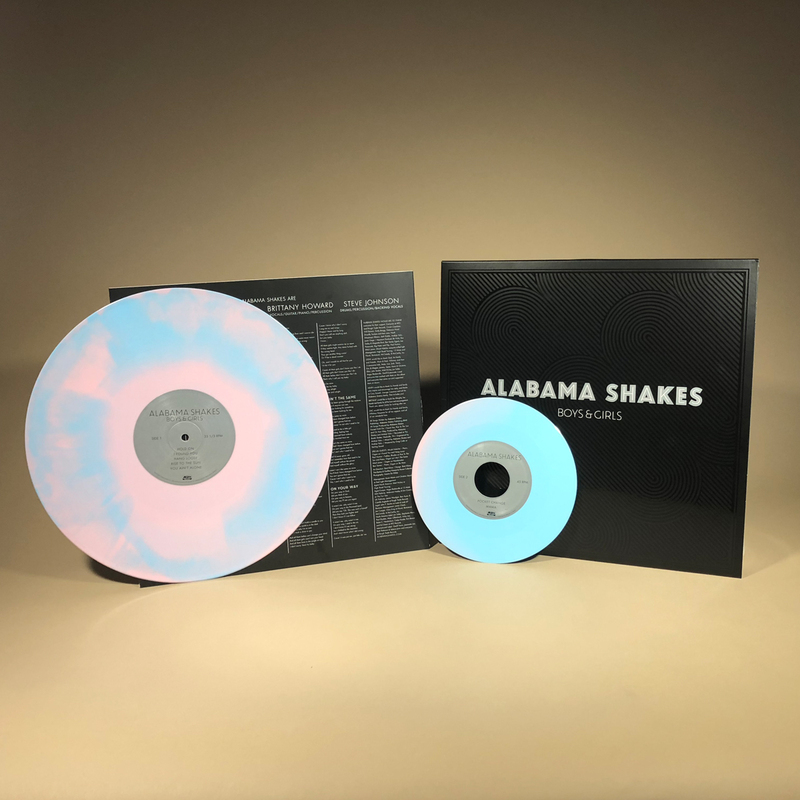 The colored vinyl is vibrant, the sound crystal clear, the cover stunning. Fast and friendly service direct from ATO Records. Highly recommended.